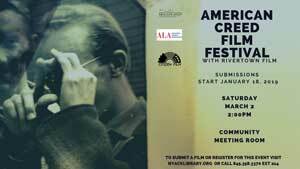 The Orange & Rockland Community Investment Program has awarded Rivertown Film a $1,500 grant for its “Meet the Filmmaker” series. “Meet the Filmmaker” brings filmmakers to screenings for discussions about the creative process, giving audiences a unique insight into films they have just seen. Recent participants in “Meet the Filmmaker” have included Barbara Kopple, John Sayles and Jonathan Demme. Some of the Orange & Rockland funding will be used to videotape “Meet the Filmmakers” discussions for access on the Rivertown Vimeo Channel.